Rihanna's vinyl box set is apparently going for lowest ever on Amazon UK - 99GBP. Its lowest on Discogs is about 129. Is there a proper way to clean records? Like can that stop skipping, similar to how CDs skip if they're scratched or dirty? Or not at all? Sorry if I sound dumb af. Your record store should be able to sell you vinyl cleaner + some of those dust cloths to clean them, and a stylus cleaner to use after every session. It usually won't stop skipping however, that's a manufacturing problem OR a wear and tear one if you've overplayed them. Wait. Does the boxset include the vinyl album or not? Nope, a 7 inch. Probably Medellin and another song? Any German users who would be willing to purchase two copies of the ASIB limited version from Saturn and ship them to the UK for me? It's in stock still but only for collection. Does anyone have Billie's album on lime green vinyl? Is the quality good? I heard that the glow in the dark version is trash, but I'm wondering about the lime green one. For some reason it's I Rise which is already a song on the deluxe album, so kind of a random choice unless it's going to be a single at some point? 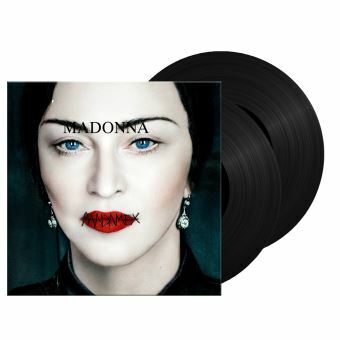 Rainbow Madame X on Fnac. I’m getting the Madame X vinyl either thru Madonna’s website or Amazon. It doesn't look very rainbow to me? Am I missing something? All the "rainbows" of Madame X have been taken down? Randomly found and ordered a vinyl single from Nelly Furtado and a CD from Kylie. They both shipped the same day and I got the CD really fast but the vinyl most likely got lost. It's been almost a month. Not Nelly which one was it? I forgot to mention it was new and sealed.